Throwing an egg a long way isn’t hard. Catching it whole is the trick. Ask World Egg Throwing Championship winners Ben Sudell and Joe Beveridge. They managed to throw—and catch—an egg unbroken for 55 yards. 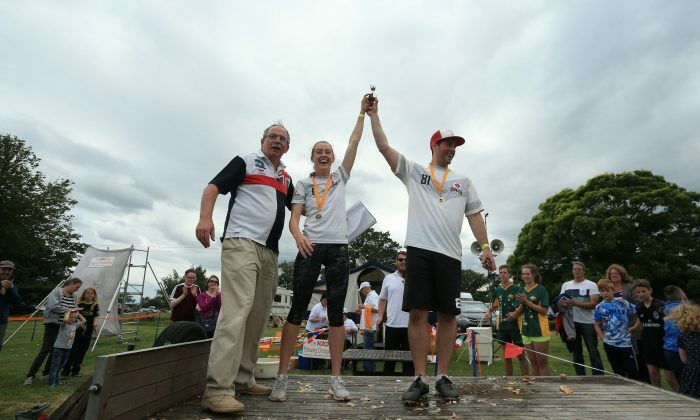 They did this Sunday, June 25, at the World Egg Throwing Championships in Swaton, England. Egg-tossing is a serious sport. It’s roots go back to pagan times, and variations of the sport have been seen throughout history around the world. The World Egg Throwing Federation was formed in 2005 to regulate it—because obviously with such an important competition, there must be careful observation of the rules. Winning takes practice. Proper technique must be developed and honed. 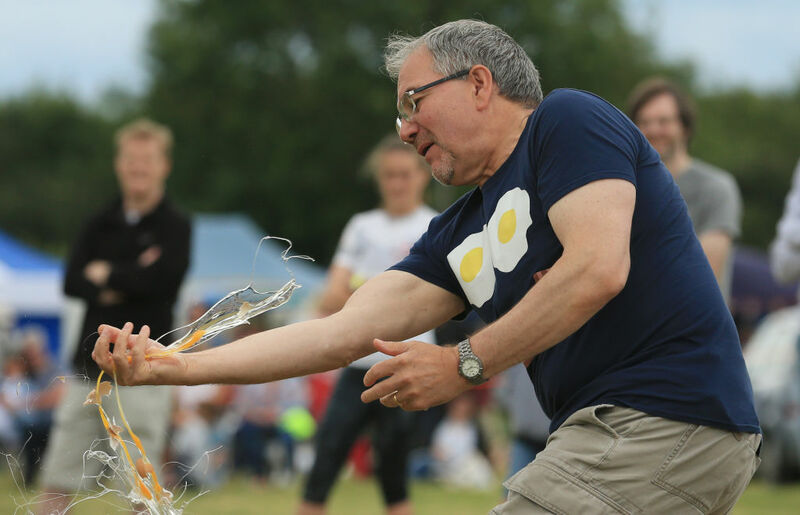 A competitor fails to catch a thrown egg without it smashing during an egg throwing discipline of the 2017 World Egg Throwing Championships at Swaton Vintage Fair in Lincolnshire, England on June 25, 2017. Along with the Egg Toss, the event featured two other sports: Egg trebuchet, and Egg Russian Roulette. This last is exactly what it sounds like—competitors smash hard-boiled eggs on their foreheads until the find the raw egg. Canadian competitor Julie Moens won Russian Roulette. Moens described her technique is mystical terms. With partner Tyler Hislop she won the trebuchet competition as well—bravo Team Canada. One wonders if they will get a parade when they return home.